Q: Do you consider your business successful or not? A: Yes, we are successful, at the moment. A: Ha ha! There have been a couple turning points like this over the years for me, but the reality is we are still starting up. Ask me this again in 5 years. Q: Did you participate in any programs, mentorships, or training that you think was instrumental in helping you get to where you are today? A: I did participate in the TEN program (http://ten-ny.org) , and that was very beneficial. I also became certified in many areas of our industry which has allowed me to see beyond the day to day business and truly grasp the business of healthcare as a whole. Mentors have also played a pivotal role, as I appreciate learning at every chance I can. Q: What is the biggest challenge that you have, beyond increasing revenues or finding funding, in making your business work? A: Our biggest challenge is finding the right people who want to innovate and grow with us while working in an ever changing industry. The business of medicine is extremely complex and we face new regulatory challenges that must be matched with technological advancements in data processing. This is causing a cultural shift where past experience is not enough to succeed. We are truly attempting to help fix the medical industry from an administrative perspective. The process can be taxing, and the burnout rate is often high. Q: If you could go back 1-5 years and talk to yourself, how far would you go and what would you say? A: I’d go back 5 years and tell myself “slow down,” however, I probably would not have listened. Q: What excites you about the next 12-24 months? A: Everything! New technology, new regulations, and hopefully new clients to help maneuver through the obstacles they are facing. Q: If you could solve any problem you have today by just waving a magic wand, what would it be? A: The cost of medical care; let’s make it less expensive. Q: Anything else you want to add about how you went startup to where you are today that you wish to share with the world? A: Running your own business is not an easy road. Be ready to adapt personally and professionally as needed. Thanks so much for your time, Jason! 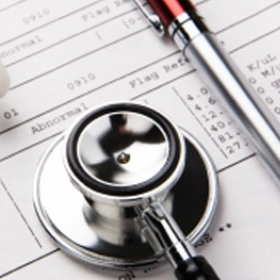 MRM manages billing and practice management for the medical industry. Our goal is to work effectively with physicians, hospitals and medical facilities in streamlining claims processing and helping to develop a more efficient business practice. MRM has an experienced staff that works closely with insurance companies in processing medical claims and ensuring maximum payments in a timely manner. For more information, visit www.medicalresourcesmgmt.com.